The author selected the Electronic Frontier Foundation to receive a donation as part of the Write for DOnations program. 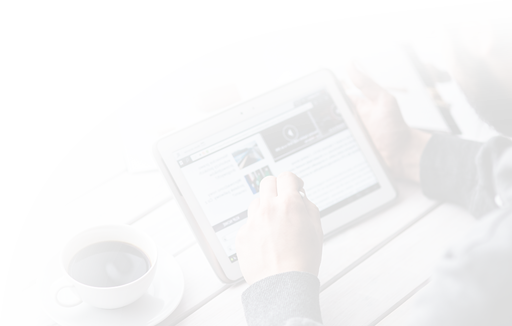 Two-factor authentication (2FA) is an authentication method that requires entering more than one piece of information to successfully log in to an account or device. In addition to entering a username and password combination, 2FA requires the user to enter an additional piece of information such as a one-time password (OTP), like a six-digit verification code. 2FA is a subset of multi-factor authentication (MFA), which, in addition to something that the user knows and something that they have, requires something that the user is. This is the case of biometrics, which use technologies such as fingerprint or voice recognition. 2FA helps strengthen the authentication process to a certain service or device: even if the password were compromised, an attacker would also need to have access to the user’s device which holds the authenticator app used to generate the security codes. For this reason, many online services (including DigitalOcean) offer the possibility to enable 2FA for user accounts to increase account security when it comes to the authentication phase. In this guide, you will configure 2FA for a non-root sudoer user on an Ubuntu 18.04 installation with the Google PAM module. Since you’re configuring 2FA on the non-root user, you will still be able to access the machine from your root account in case of a lockout. The tutorial will be general enough to be applied both to server and to desktop installations, both local and remote. One Ubuntu 18.04 server or desktop environment. If you are using an Ubuntu server, set it up by following the Ubuntu 18.04 initial server setup guide, including a non-root user with sudo privileges and a firewall. An authenticator application installed on your mobile device, with which you can scan 2FA QR codes, such as Google Authenticator or Authy. In order to configure 2FA on Ubuntu 18.04, you need to install Google’s PAM module for Linux. The Pluggable Authentication Module (PAM) is the authentication mechanism Linux uses. You will use Google’s PAM module to have your user authenticate over 2FA using Google-generated OTP codes. This is a very small package with no dependencies, so it will take a few seconds to install. In the next section, you will configure 2FA for the non-root user on the system. Now that you've installed the PAM module, you will run it to generate a QR code for the logged in user. This will create the code, but the Ubuntu environment won't require 2FA until you've enabled it later in this tutorial. A QR code: This is the code you need to scan using your authenticator app. Once you have scanned it, it will immediately turn into a code-generating device that will create a new OTP every 30 seconds. Your secret key: This is an alternative method to configure your authenticator app. If you are using an app that does not support QR scanning, you can enter the secret key to configure your authentication app. Your verification code: This is the first six-digit verification code that this specific QR code generates. Your emergency scratch codes: Also known as backup codes, these one-use tokens will allow you to pass 2FA authentication if you lose your authenticator device. Keep these codes in a safe place to avoid being locked out of the account. You have now configured and generated 2FA codes for the non-root user with the PAM module. Now that your codes are generated, you need to enable 2FA in your environment. The Google PAM module is now generating 2FA codes your user, but Ubuntu doesn't yet know that it needs to use the codes as part of the user's authentication process. In this step, you will update Ubuntu's configuration to require 2FA tokens in addition to the regular method of authentication. You can require 2FA every time a user logs in to the system and every time a user requests sudo privileges. You can require 2FA only during log in, where subsequent sudo authentication attempts would only require the user password. The first option will be ideal for a shared environment, where you may want to protect any actions that require sudo permissions. The second approach is more practical for a local desktop environment, where you are the only user on the system. Note: If you are enabling 2FA on a remote machine that you access over SSH, like a DigitalOcean Droplet, you need to follow steps two and three from the How To Set Up Multi-Factor Authentication for SSH on Ubuntu 16.04 guide before proceeding with this tutorial. The remaining steps in this tutorial apply to all Ubuntu installations, but remote environments need additional updates to make the SSH service aware of 2FA. If you are not using SSH to access your Ubuntu installation, you can immediately proceed with the remaining steps in the tutorial. To be prompted for 2FA during log in and subsequent privilege escalation requests, you need to edit the /etc/pam.d/common-auth file by adding a line to the end of the existing file. The common-auth file applies to all authentication mechanisms on the system, regardless of the desktop environment used. It also applies to authentication requests that happen after the user logs in to the system, such as during a sudo escalation request when installing a new package from the terminal. This line tells the Ubuntu authentication system to require 2FA upon log in through the Google PAM module. The nullok option allows existing users to log into the system even if they haven't configured 2FA authentication for their account. In other words, users who have configured 2FA will be required to enter an authentication code at the next log in, while users who haven't run the google-authenticator command will be able to log in with only their username and password until they configure 2FA. Save and close the file after adding the line. If you want to only be prompted for 2FA when you first log in to the system on a desktop environment, you need to edit the configuration file for the desktop manager you are using. The name of the configuration file usually matches the name of the desktop environment. For example, the configuration file for gdm, the default Ubuntu desktop environment starting after Ubuntu 16.04, is /etc/pam.d/gdm. This will tell Ubuntu to require 2FA when a user connects to the system via the command line (either locally or remotely through SSH), but not during subsequent authentication attempts, such as sudo requests. You have now successfully configured Ubuntu to prompt you for 2FA either just during log in, or for every authenticated action performed on the system. You're now ready to test the configuration and make sure that you are prompted for 2FA when you log in to your Ubuntu installation. In the previous step, you've configured 2FA to generate codes every 30 seconds. In this step, you will test 2FA by logging into your Ubuntu environment. Note: If you are testing this on a DigitalOcean Droplet or another remote server protected by certificate authentication, you won’t be prompted for a password, and your key will be passed and accepted automatically. You will therefore only be prompted for your verification code. If 2FA was only enabled for logins, you won’t be prompted for your 2FA codes again until the session expires or you log out manually. In this step you have confirmed that your 2FA configuration is working as expected. If you were not prompted for your verification codes in this phase, return to step three of the tutorial and confirm that you have edited the correct Ubuntu authentication file. Save a backup copy of your secret configuration codes in a safe place. You can do this manually, but some authentication apps like Authy provide backup code features. Save your recovery codes in a safe place that can be accessed outside of your 2FA enabled environment. If for any reason you don't have access to your backup options, you can take additional steps to recover access to your 2FA enabled local environment or remote server. If you have physical access to the machine, you can boot into rescue mode to disable 2FA. Rescue mode is a target type (similar to a runlevel) in Linux that is used to preform administrative tasks. 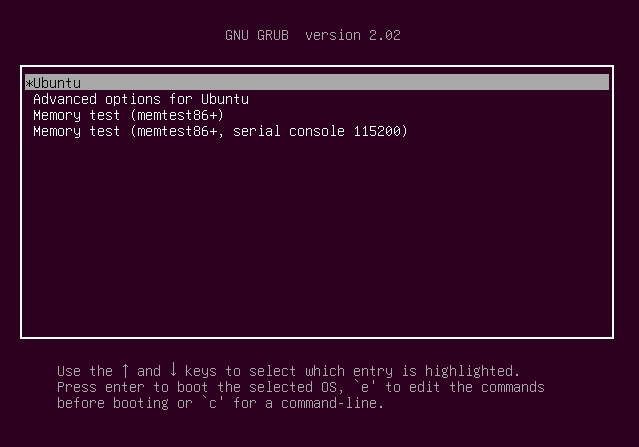 You will need to edit some settings in GRUB, which is the default boot loader in Ubuntu, to enter rescue mode. 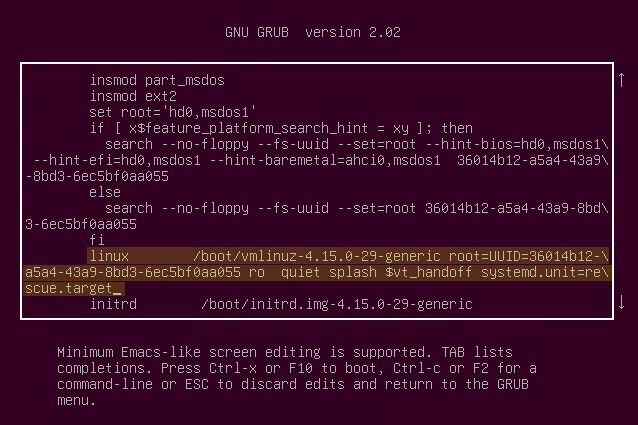 When the GRUB menu appears, make sure the Ubuntu entry is highlighted. This is the default name on a 18.04 installation, but may be different if you manually changed it after installation. 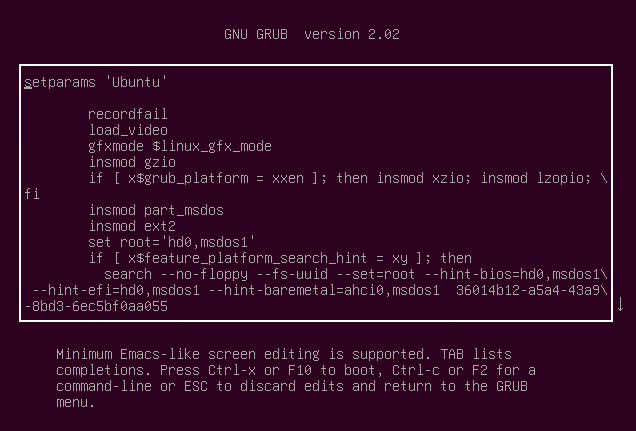 Next, press the e key on your keyboard to edit the GRUB configuration before booting into your system. In the file that appears, scroll down until you see a line that starts with linux and ends with $vt_handoff. Go to the end of this line and append systemd.unit=rescue.target, making sure that you leave a space between $vt_handoff and systemd.unit=rescue.target. This will tell your Ubuntu machine to boot into rescue mode. Once you have made the changes, save the file with the Ctrl+X keyboard combination. Your machine will reboot and you will find yourself at a command line. Press Enter to go into rescue mode. The first line in this file is the user’s secret key, which is used to configure an authenticator app. You can copy the secret key and configure your authenticator app. If you want to start from a clean slate, you can delete the ~/.google-authenticator file altogether to disable 2FA for this user. After logging in again as the non-root user, you can configure 2FA once again and get a brand new secret key. With either choice, you are able to recover from a 2FA lockout on a local environment by using the GRUB boot loader. In the next step, you will recover from a 2FA lockout on a remote environment. If your non-root sudoer account is locked out on a remote machine, you can use the root user to temporarily disable 2FA or reconfigure 2FA. The first line in this file is the user’s secret key, which is what you need to configure an authenticator app. If you want to set up a new or wiped device, you can use the secret key to reconfigure your authenticator app. If you want to start from a clean slate, you can delete the /home/sammy/.google_authenticator file altogether to disable 2FA for this user. After logging in as the non-root user, you can configure 2FA once again and get a brand new secret key. With either choice, you were able to recover from a 2FA lockout on a local environment by using the root user. In this tutorial, you configured 2FA on an Ubuntu 18.04 machine. With 2FA configured on your environment, you have added an extra layer of protection to your account and you have made your system more secure. In addition to your traditional authentication method, you will also have to enter an additional verification code to log in. This makes it impossible for an attacker who managed to acquire your login credentials to be able to log in to your account without this additional verification code. Apache ZooKeeper is open-source software that enables resilient and highly reliable distributed coordination. It is commonly used in distributed systems to manage configuration information, naming services, distributed synchronization, quorum, and state. In addition, distributed systems rely on ZooKeeper to implement consensus, leader election, and group management. In this guide, you will install and configure Apache ZooKeeper 3.4.13 on Ubuntu 18.04. To achieve resilience and high availability, ZooKeeper is intended to be replicated over a set of hosts, called an ensemble. First, you will create a standalone installation of a single-node ZooKeeper server and then add in details for setting up a multi-node cluster. The standalone installation is useful in development and testing environments, but a cluster is the most practical solution for production environments. The standalone installation needs one Ubuntu 18.04 server with a minimum of 4GB of RAM set up by following the Ubuntu 18.04 initial server setup guide, including a non-root user with sudo privileges and a firewall. You need two additional servers, set up by following the same steps, for the multi-node cluster. OpenJDK 8 installed on your server, as ZooKeeper requires Java to run. To do this, follow the “Install Specific Versions of OpenJDK” step from the How To Install Java with `apt` on Ubuntu 18.04 guide. Because ZooKeeper keeps data in memory to achieve high throughput and low latency, production systems work best with 8GB of RAM. Lower amounts of RAM may lead to JVM swapping, which could cause ZooKeeper server latency. High ZooKeeper server latency could result in issues like client session timeouts that would have an adverse impact on system functionality. A dedicated user should run services that handle requests over a network and consume resources. This practice creates segregation and control that will improve your environment’s security and manageability. In this step, you’ll create a non-root sudo user, named zk in this tutorial, to run the ZooKeeper service. First, log in as the non-root sudo user that you created in the prerequisites. Passing the -m flag to the useradd command will create a home directory for this user. The home directory for zk will be /home/zk by default. In terms of security, it is recommended that you allow SSH access to as few users as possible. Logging in remotely as sammy and then using su to switch to the desired user creates a level of separation between credentials for accessing the system and running processes. You will disable SSH access for both your zk and root user in this step. Save and exit the file and then restart the SSH daemon to activate the changes. The -l flag invokes a login shell after switching users. A login shell resets environment variables and provides a clean start for the user. Enter the password at the prompt to authenticate the user. 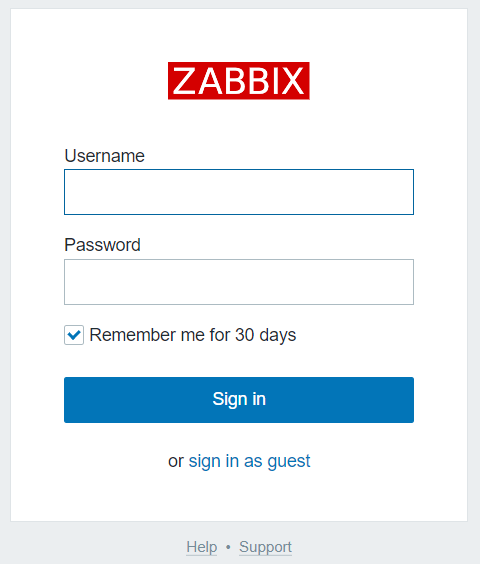 Now that you have created, configured, and logged in as the zk user, you will create a directory to store your ZooKeeper data. ZooKeeper persists all configuration and state data to disk so it can survive a reboot. 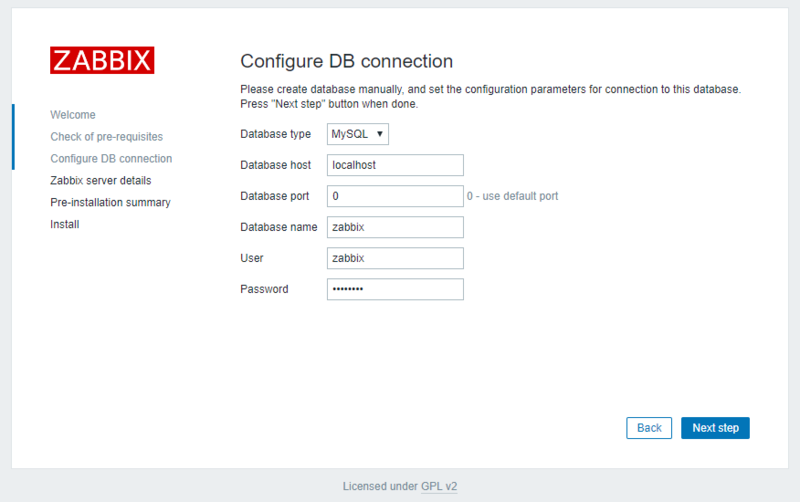 In this step, you will create a data directory that ZooKeeper will use to read and write data. You can create the data directory on the local filesystem or on a remote storage drive. This tutorial will focus on creating the data directory on your local filesystem. chown changes the ownership and group of the /data/zookeeper directory so that the user zk, who belongs to the group zk, owns the data directory. You have successfully created and configured the data directory. When you move on to configure ZooKeeper, you will specify this path as the data directory that ZooKeeper will use to store its files. In this step, you will manually download and extract the ZooKeeper binaries to the /opt directory. You can use the Advanced Packaging Tool, apt, to download ZooKeeper, but it may install an older version with different features. Installing ZooKeeper manually will give you full control to choose which version you would like to use. From your local machine, navigate to the Apache download page. This page will automatically provide you with the mirror closest to you for the fastest download. Click the link to the suggested mirror site, then scroll down and click zookeeper/ to view the available releases. Select the version of ZooKeeper that you would like to install. This tutorial will focus on using 3.4.13. Once you select the version, right click the binary file ending with .tar.gz and copy the link address. The .tar.gz extension represents a combination of TAR packaging followed by a GNU zip (gzip) compression. You will notice that you passed the flag -xvf to the command to extract the archive. The flag x stands for extract, v enables verbose mode to show the extraction progress, and f allows specifying the input, in our case zookeeper-3.4.13.tar.gz, as opposed to STDIN. Next, you will configure a symbolic link to ensure that your ZooKeeper directory will remain relevant across updates. You can also use symbolic links to shorten directory names, which can lessen the time it takes to set up your configuration files. Create a symbolic link using the ln command. Change the ownership of that link to zk:zk. Notice that you have passed a -h flag to change the ownership of the link itself. Not specifying -h changes the ownership of the target of the link, which you explicitly did in the previous step. With the symbolic links created, your directory paths in the configurations will remain relevant and unchanged through future upgrades. You can now configure ZooKeeper. 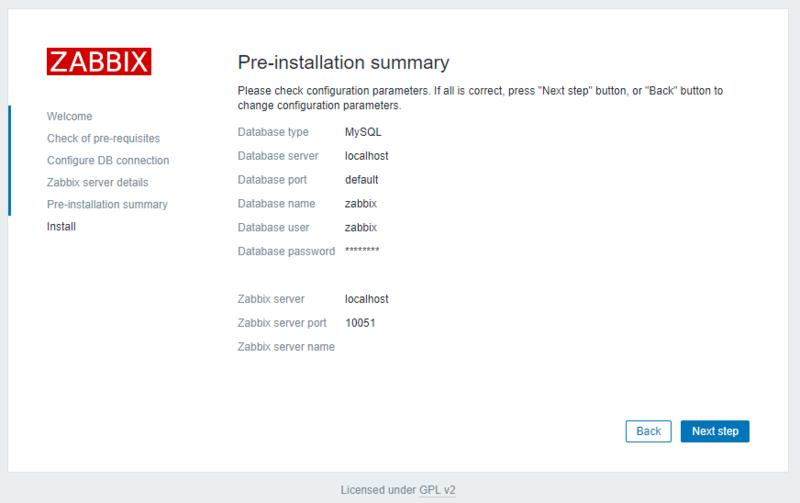 Now that you've set up your environment, you are ready to configure ZooKeeper. tickTime: Sets the length of a tick in milliseconds. A tick is a time unit used by ZooKeeper to measure the length between heartbeats. Minimum session timeouts are twice the tickTime. dataDir: Specifies the directory used to store snapshots of the in-memory database and the transaction log for updates. You could choose to specify a separate directory for transaction logs. clientPort: The port used to listen for client connections. maxClientCnxns: Limits the maximum number of client connections. A tickTime of 2000 milliseconds is the suggested interval between heartbeats. A shorter interval could lead to system overhead with limited benefits. The dataDir parameter points to the path defined by the symbolic link you created in the previous section. Conventionally, ZooKeeper uses port 2181 to listen for client connections. In most situations, 60 allowed client connections are plenty for development and testing. You have configured ZooKeeper and are ready to start the server. You've configured all the components needed to run ZooKeeper. 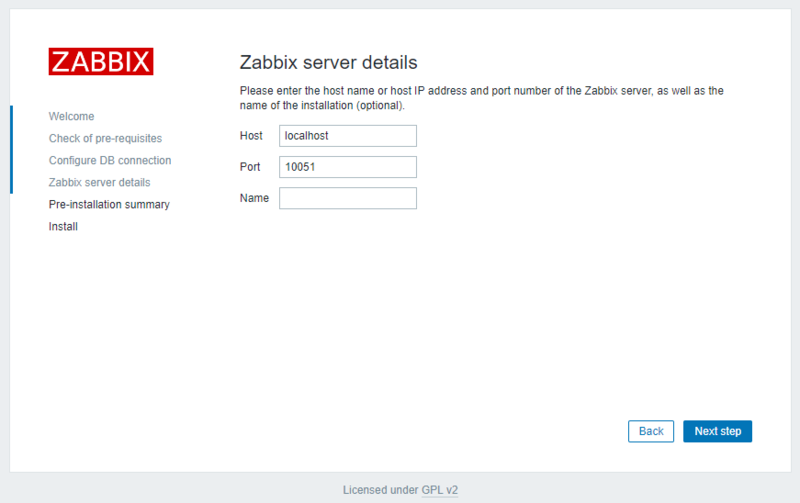 In this step, you will start the ZooKeeper service and test your configuration by connecting to the service locally. Navigate back to the /opt/zookeeper directory. Start ZooKeeper with the zkServer.sh command. You will get a prompt with the label CONNECTED. This confirms that you have a successful local, standalone ZooKeeper installation. 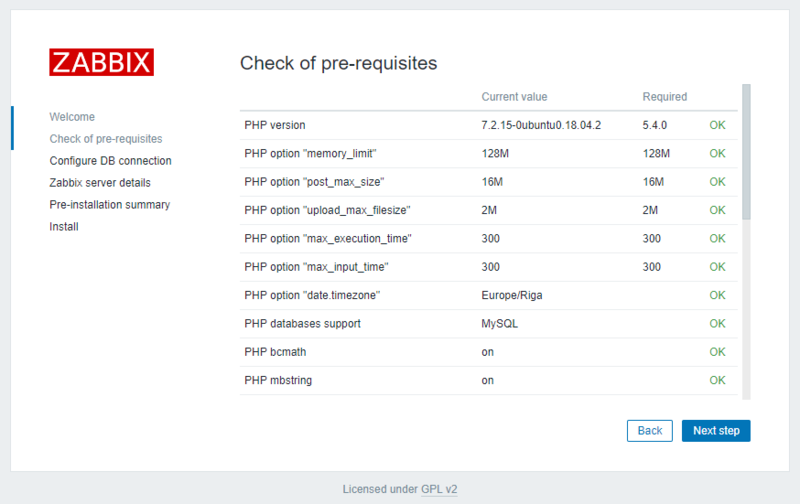 If you encounter errors, you will want to verify that the configuration is correct. You have now installed, configured, and tested a standalone ZooKeeper service. This setup is useful to familiarize yourself with ZooKeeper, but is also helpful for developmental and testing environments. Now that you know the configuration works, you will configure systemd to simplify the management of your ZooKeeper service. The systemd, system and service manager, is an init system used to bootstrap the user space and to manage system processes after boot. You can create a daemon for starting and checking the status of ZooKeeper using systemd. Systemd Essentials is a great introductory resource for learning more about systemd and its constituent components. Use your editor to create a .service file named zk.service at /etc/systemd/system/. The Service section in the unit file configuration specifies the working directory, the user under which the service would run, and the executable commands to start, stop, and restart the ZooKeeper service. For additional information on all the unit file configuration options, you can read the Understanding Systemd Units and Unit Files article. Once you've confirmed that your systemd file can successfully start the service, you will enable the service to start on boot. Created symlink /etc/systemd/system/multi-user.target.wants/zk.service → /etc/systemd/system/zk.service. Stop the ZooKeeper service using systemctl. The systemd mechanism is becoming the init system of choice on many Linux distributions. Now that you've configured systemd to manage ZooKeeper, you can leverage this fast and flexible init model to start, stop, and restart the ZooKeeper service. While the standalone ZooKeeper server is useful for development and testing, every production environment should have a replicated multi-node cluster. Nodes in the ZooKeeper cluster that work together as an application form a quorum. Quorum refers to the minimum number of nodes that need to agree on a transaction before it's committed. A quorum needs an odd number of nodes so that it can establish a majority. An even number of nodes may result in a tie, which would mean the nodes would not reach a majority or consensus. In a production environment, you should run each ZooKeeper node on a separate host. This prevents service disruption due to host hardware failure or reboots. This is an important and necessary architectural consideration for building a resilient and highly available distributed system. 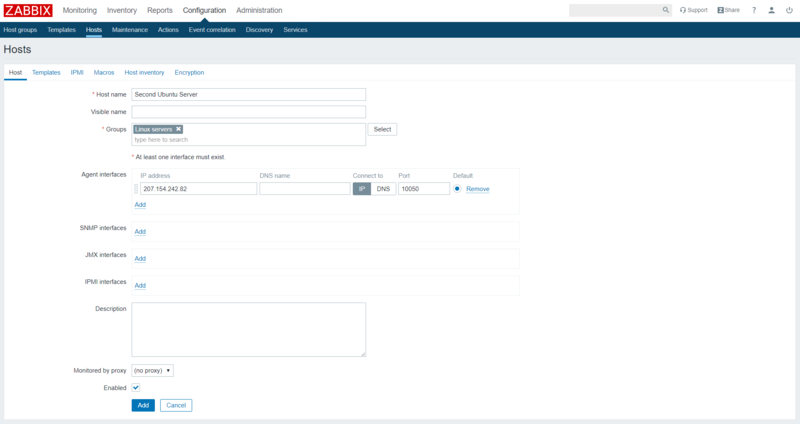 In this tutorial, you will install and configure three nodes in the quorum to demonstrate a multi-node setup. Before you configure a three-node cluster, you will spin up two additional servers with the same configuration as your standalone ZooKeeper installation. Ensure that the two additional nodes meet the prerequisites, and then follow steps one through six to set up a running ZooKeeper instance. Once you've followed steps one through six for the new nodes, open zoo.cfg in the editor on each node. All nodes in a quorum will need the same configuration file. In your zoo.cfg file on each of the three nodes, add the additional configuration parameters and values for initLimit, syncLimit, and the servers in the quorum, at the end of the file. initLimit specifies the time that the initial synchronization phase can take. This is the time within which each of the nodes in the quorum needs to connect to the leader. syncLimit specifies the time that can pass between sending a request and receiving an acknowledgment. This is the maximum time nodes can be out of sync from the leader. ZooKeeper nodes use a pair of ports, :2888 and :3888, for follower nodes to connect to the leader node and for leader election, respectively. Once you've updated the file on each node, you will save and exit the editor. To complete your multi-node configuration, you will specify a node ID on each of the servers. To do this, you will create a myid file on each node. Each file will contain a number that correlates to the server number assigned in the configuration file. You have now configured a three-node ZooKeeper cluster. Next, you will run the cluster and test your installation. With each node configured to work as a cluster, you are ready to start a quorum. In this step, you will start the quorum on each node and then test your cluster by creating sample data in ZooKeeper. As nodes start up, you will intermittently see some connection errors followed by a stage where they join the quorum and elect a leader among themselves. After a few seconds of initialization, you can start testing your installation. In the standalone installation, both the client and server were running on the same host. This allowed you to establish a client connection with the ZooKeeper server using localhost. Since the client and server are running on different nodes in your multi-node cluster, in the previous step you needed to specify the IP address of your_zookeeper_node_1 to connect to it. You will see the familiar prompt with the CONNECTED label, similar to what you saw in Step 5. Next, you will create, list, and then delete a znode. The znodes are the fundamental abstractions in ZooKeeper that are analogous to files and directories on a file system. ZooKeeper maintains its data in a hierarchical namespace, and znodes are the data registers of this namespace. Testing that you can successfully create, list, and then delete a znode is essential to establishing that your ZooKeeper cluster is installed and configured correctly. Create a znode named zk_znode_1 and associate the string sample_data with it. The output confirms the value, sample_data, that you associated with zk_node_1. ZooKeeper also provides additional information about creation time, ctime, and modification time, mtime. ZooKeeper is a versioned data store, so it also presents you with metadata about the data version. In this step, you successfully tested connectivity between two of your ZooKeeper nodes. You also learned basic znode management by creating, listing, and deleting znodes. Your multi-node configuration is complete, and you are ready to start using ZooKeeper. In this tutorial, you configured and tested both a standalone and multi-node ZooKeeper environment. Now that your multi-node ZooKeeper deployment is ready to use, you can review the official ZooKeeper documentation for additional information and projects.